Over the course of a 30-year career, Eddie Izzard has proven himself to be a creative chameleon, inhabiting the stage and film and television screens with an unbelievable fervor. Born in Yemen and raised in Ireland, Wales, and postwar England, he lost his mother at the age of six. In his teens he dropped out of university and took to the streets of London as part of a two-man escape act; when his partner went on vacation, Izzard kept busy by inventing a one-man act, and thus a career was ignited. As a stand-up comedian, Izzard has captivated audiences with his surreal, stream-of-consciousness comedy - lines such as "cake or death?" "Death Star canteen", and "do you have a flag?" have the status of great rock lyrics. As a self-proclaimed "executive transvestite", Izzard broke the mold performing in full makeup and heels and has become as famous for his advocacy for LGBT rights as he has for his art. In Believe Me, he recounts the dizzying rise he made from street busking to London's West End to Wembley Stadium and New York's Madison Square Garden. Still performing more than 100 shows a year - thus far in a record-breaking 28 countries worldwide - Izzard is arguably one of today's top kings of comedy. With his brand of keenly intelligent humor that ranges from world history to pop culture, politics, and philosophy, he has built an extraordinary fan base that transcends age, gender, and race. Writing with the same candor and razor-sharp insight evident in his comedy, he reflects on a childhood marked by unutterable loss, sexuality and coming out, as well as a life in show business, politics, and philanthropy. Honest and generous, Izzard's Believe Me is an inspired account of a very singular life thus far. 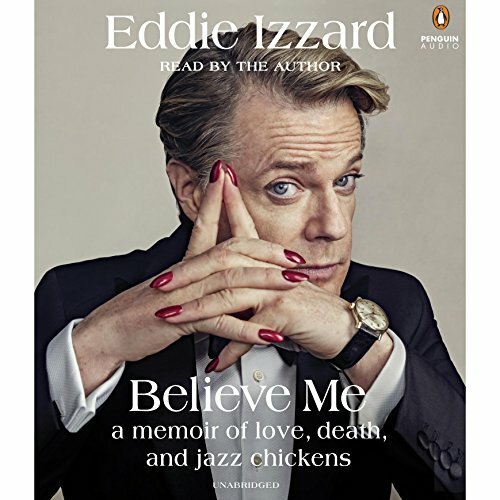 I would recommend this book to anyone who appreciates intelligence and wit, but I would absolutely demand that anyone who is an Eddie Izzard fan should stop whatever they are doing (conducting a concert, having a PBJ sandwich, executing a tricky liver transplant, whatever) and IMMEDIATELY grab this audiobook. You'll know why when you start listening to it. What other book might you compare Believe Me to and why? Wil Wheaton did this with some of his books, but I don't know of any others that take the liberties that Eddie joyously does here. What does Eddie Izzard bring to the story that you wouldn’t experience if you just read the book? His typical penchant for sidebars, meandering, call backs, musings, word play, and all that makes his work so amazingly special for me. It becomes a superannuated version of the print/ebook, and is so absolutely wonderful when that sort of thing happens. He even stops in the middle of a chapter to have the engineer google when "She Loves You" by The Beatles was released. This is the kind of freedom I wish I could have from time to time (I narrate audiobooks as well). I laughed hysterically. And cried a few times. I set my Audible player's sleep timer to "End of Chapter" as I went to bed. AND THEN RESET IT AGAIN. I decided I shall sleep when I'm finished with the audiobook. 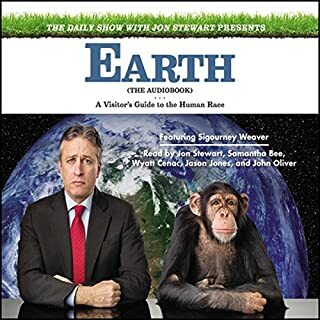 I'd like to congratulate whoever it was in the corporate offices at Penguin Random House Audiobooks, who clearly had the good sense to leave in all the extra exploration Eddie did when voicing this audiobook. I am forever grateful that you didn't edit anything out. You gave me such a present. 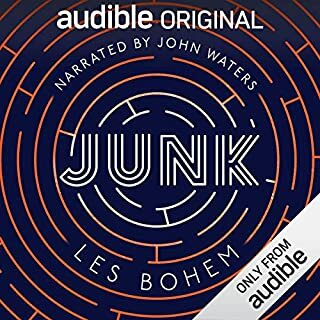 And to all the commenters here that don't get this audiobook, because they don't get what Eddie does, and have decided to opine on this masterpiece, take it from one of his biggest fans (been to most of the live shows I've been aware of, and always stop to watch when he's on TV): don't try to review this book if you're not familiar. 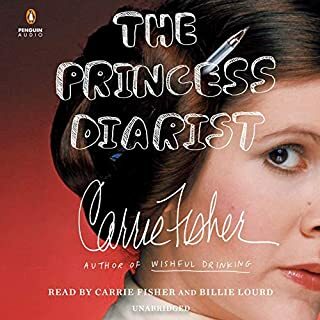 It will fall flat and seem inconceivable to the audience this audiobook is aimed at. It's like walking into a Ferrari dealership (as Eddie has apparently done nearly a hundred times, since he he lets us know he has 97 Ferraris) and announcing your distaste for fine automotive design and high horsepower. No one will pay any attention to you. Just know that this book, with all the extra, off the cuff Izzard meanderings included, may play havoc with Whispersync, but it is an absolute treasure to those of us who never can get enough of him. It was a gift to us, not to you. And it is a gift that I will listen to over and over. Thank you, Eddie, so, so much. I've been a fan of Eddie Izzard since I was far too young to be a fan. So, it's no surprise that I would give his book ALL OF THE STARS. But it really does deserve them. Probably. As a fan, I really appreciate the choice to leave in his asides, footnotes, and tangents that are not in the printed book. Though, I can also image how these asides, footnotes, and tangents could also be extremely distracting and make the recording difficult to follow. I think most people familiar with his stand-up probably know that to be able to follow him you need to be able to changes horses midstream. Then change again , then change from a horse to a ostrich, then wrestle a kangaroo, then poke a badger with a spoon, then put jam down your trousers, then get back to the first horse all before you are out of the stream. This reading is like that. Interspersed with beautiful moments of sadness, frustration, love, accomplishment and failure. But a surprising lack of jazz chickens. But perhaps that is the moral (or the marble) of Mr . Izzard's life story (so far). Maybe we *are* the jazz chickens. And if we are all just a little nicer to eachother, maybe we will be ok. I donno. Listen for yourself and draw your own damn conclusions. If you are not already a fan of Eddie Izzard, this audiobook is not for you. Eddie is a brilliant but rambling comedian, and listeners who are not familiar with how his mind works may not appreciate his art -- and the man himself. Even long-time fans will have to overlook some initial problems; during the first part of the recording, friends/staff were with him and he seemed more committed to joking around with them than talking to his listening audience. He also seemed to be reading from a first draft rather than a final, edited product. I almost stopped listening to the irritating performance and to several quite-boring sections of the book. 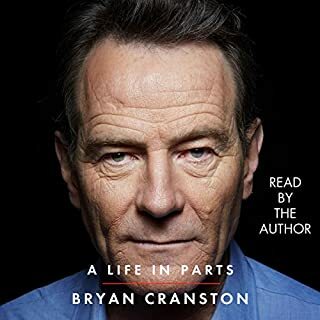 However, I stayed with it, and I'm so glad I did; in the last two-thirds of the audiobook, when it appears he is finally alone, Eddie reveals why he is one of the world's favorite comedic performers (and now dramatic actor). He still wildly rambles at times, but he also provides a lot of insight into the comedy entertainment business and how hard it is to perfect the comedy craft. But, best of all, he captivates his readers with wonderful and often emotionally moving -- and relatable -- stories about himself, his family, and life in general. 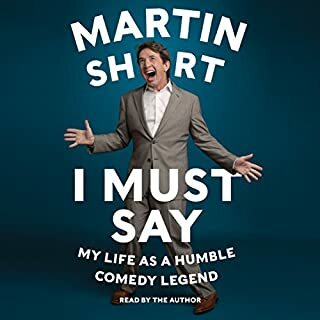 By the end of the audiobook, I not only liked the man and the comedian more than I ever had before, but I felt more empowered about my own life as well. If you're an Eddie Izzard fan, don't miss this audiobook! If you are an Eddie fan, this is an absolute gem. Get it now. If you aren't familiar with Eddie's work, then just take this into account: this isn't your typical audio book. If you just want to be read to, this isn't the book for you. This is almost like Eddie telling you a story, getting sidetracked and telling another in the middle. The rambling and randomness made this fantastic. I've always loved his stand up, ever since I first saw him on his HBO Dressed to Kill show. I really enjoyed listening to him talk about his childhood, loosing his mum and his fight to get to where he is today. My heart ached many times and I laughed out loud more then a few times. I love you Eddie. If you enjoy his stand up with the tangents and random stories, you'll get the same here. Well the tangents that sprout out as he tells his life story. Did I laugh out loud? Yes. Was it constant laughter, no. So don't go into this expecting a comedy routine from start to finish. Footnote:The audio book DEFINITELY has significantly more stuff than the book. Spoiler alert, no Jazz Chickens. End of footnote. I know more about him now, but the real-time footnotes made this a standout performance. A touching memoir read by the author. Eddie Izzard’s reading of this book does not read like a book, but just sounds like somebody talking to you and telling you a really, really good story. Great life lessons for people of all ages. 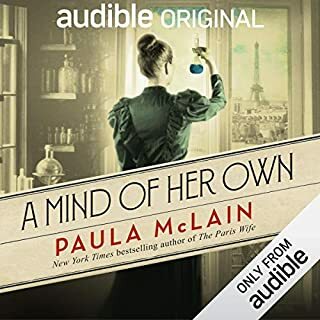 This audio book is absolutely fantastic. Eddie reads his story while adding so much extra bonus material. I began to look forward to the next footnote as much I looked forward to hearing the actual book. I have not read the book, but I am thinking I might get it for the pictures and for the read along. His story is so very intriguing and impressive. I truly enjoyed this look into his life.